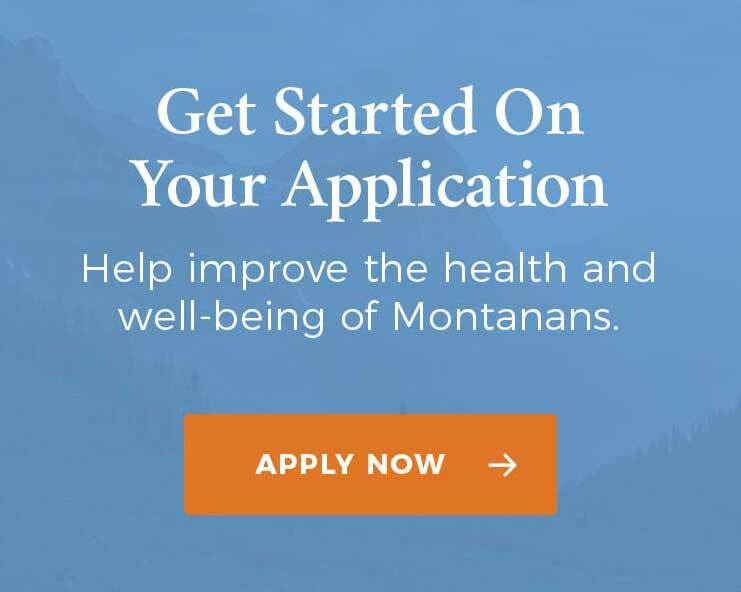 Bighorn Valley Health Center (BVHC) and St. Labre Indian School have partnered to create a school-based health center offering medical and behavioral health services on the school campus in Ashland, Montana, with support from a 2015 MHCF grant. The health center will not only provide services for students, but also for the school’s staff, teachers, and members of the surrounding community. St. Labre Indian School is a private Catholic school founded in 1884 that serves students from the Crow and Northern Cheyenne Indian Reservations. The school provides pre-k through high school education for 750 students on three campuses in Southeastern Montana. The largest campus is in the remote rural town of Ashland, Montana at the edge of the Northern Cheyenne Reservation. This campus serves nearly 450 students and offers dormitory housing for children with difficult home situations. Young people in Montana are not immune to the mental health challenges faced by many adults. Recent surveys show that more than 26% of Montana’s youth report symptoms consistent with depression, and 23.5% of high school students report binge drinking within the past month. Other challenges include high rates of suicide; exposure to adverse childhood experiences (ACEs), which have been shown to create a high risk of health and social problems later in life; and binge drinking and drug use. These problems are exacerbated by the shortage of behavioral health providers in remote rural communities. Many of the students who attend St. Labre struggle with depression and other behavioral health issues. Faced with the challenge of caring for his students’ health needs in an area with few resources, St. Labre Executive Director, Curtis Yarlott, reached out to BVHC with an idea to incorporate mental health services onto the school campus. Because physical health is closely tied to a person’s mental health, another major goal of this project was to better address children’s physical health by providing support for their mental health needs. With the help of a grant from the Montana Healthcare Foundation, in early 2016 BVHC began working with St. Labre on plans for a satellite school-based health center. The school provided and renovated one of their unused buildings on campus to house the clinic, and BVHC provided the expertise necessary to run the clinic as well as administrative, medical, and behavioral health staff. To reflect their joint effort, the clinic was named the BVHC-St. Labre Health Center. In March 2016, after only six months of working on the project, the BVHC-St. Labre Health Center opened its doors for a pilot period to test its systems. During the pilot, services were provided for 130 patients from the school and surrounding community. 82 percent of those patients were screened for depression. All of the patients who screened positive for depression were referred and seen by the on-site mental health providers. The clinic is briefly closed over the summer and will open its doors permanently at the beginning of the 2016 school year. Building new partnerships in healthcare requires strong, persistent leadership to address common challenges such as internal communications, logistics coordination between organizations, spreading the word about the clinic to the community, and establishing policies and procedures such as obtaining consent for treating students. Through a strong partnership, BVHC and St. Labre are making great progress on these challenges, and there will be an ongoing process of education and collaboration to ensure that the care children receive is well-coordinated. The clinic’s grand opening is set for the beginning of the school year so that parents can learn about the clinic and sign consent forms when registering their children for classes. Once the health center opens permanently, it will continue supporting behavioral health needs in the school and community through focus and advisory groups, offering behavioral health training to school counselors, and supporting the school in adopting an ACEs and trauma-informed approach. Eventually, the goal is to create a school-based clinic model that can be replicated in other schools and rural communities across the state.